People were free to join in the festivities whether gazing at the acts or visiting the stalls dotted around the square. Kel, a presenter at the show, eagerly stated that the Eid festival was vital in bringing the community together. 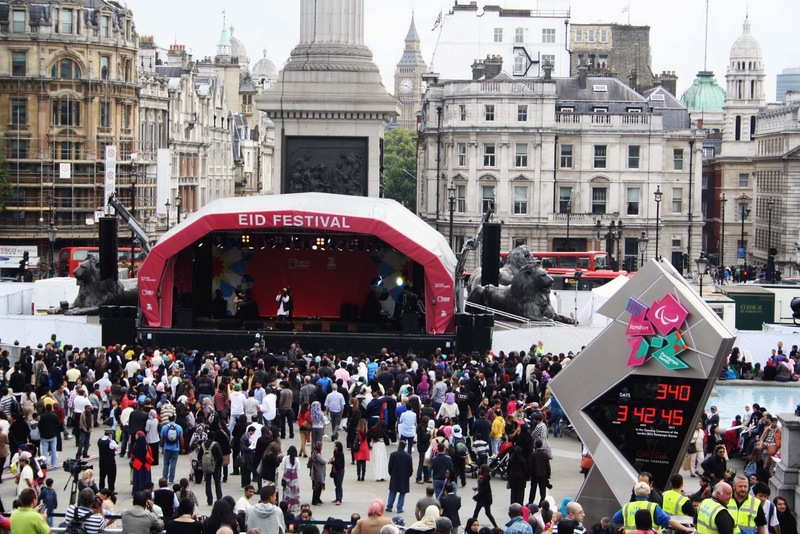 As the festival drew to a close, people left with an idea of what Eid was truly about. Eid may have drawn to a close many will be anticipating next year’s festival. This entry was posted in Entertainment, General, London by sousalz. Bookmark the permalink.